I’ve been working with a beautiful woman for several months now. Let’s call her Jane. She is gorgeous on the outside and the inside. She is loving and caring and has a generous heart. She has been trying to meet a man that she can develop a long and lasting relationship with. And despite her great looks and nice figure, she goes from date to date never finding what she’s looking for. A couple of months ago she rang to tell me she had met a man she thought was ‘the one’. She believed that Jack was worth trusting and investing her time in. After all, he said all the ‘right’ things, bought her beautiful gifts and showed her a great time. However, even though her ‘logical’ mind was telling her that he had a good job, made a decent salary and was physically appealing to her there was something about their connection she couldn’t quite put her finger on. Something that wasn’t sitting right with her. They shared a number of wonderful dates together but the unease in her gut got stronger and stronger. Jack’s stories were inconsistent, his behaviour was odd at times and he had troubles committing to dates and times. Her ‘divine’ mind was trying to communicate a very different story to her. Our divine mind is home to our intuition: our wisdom, creativity and empathy. For many of us, our logical mind is like the snowflakes in a snow-globe. They blow around in chaotic patterns; restless and confused. This chaotic thinking is pre-occupied with things like our worries, anxiety and self-doubt. Such excessive thoughts keep our mind busy and distracted from the present moment. 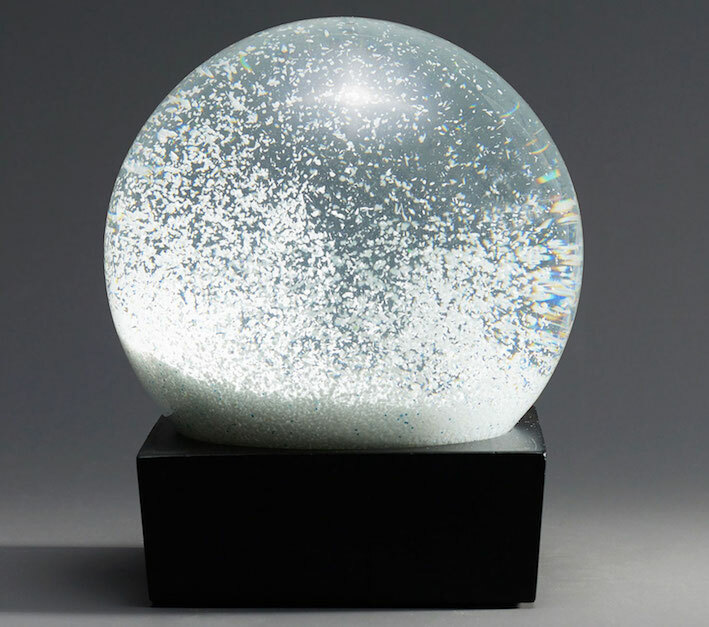 Our divine mind or in other words, our innate wisdom is like the liquid in the snow-globe. It’s an ever present, universal resource that’s ready to emerge the moment you quiet your thoughts. The capacity of our wisdom is there within each of us, tirelessly guiding us in the direction of our most inspiring, rewarding and meaningful lives. It is notan achievement, it’s a pre-existing condition. It’s not something you need to practice or work on. It’s an expression of who you really are. What would happen if you opened to the possibility that wisdom and a calm state of mind are your natural default setting? What would be different for you? It’s so easy to get caught up in chaotic thinking. Isn’t it? Perhaps your thoughts drift to the past; the home of regrets and disappointment. Do you reflect on memories from your past and wish they had turned out differently? Another place our thoughts can drift is into the future in anticipation of events that have yet to take place. This is home to anxiety and worry about future events that may or may not happen. Do you ever find yourself over-thinking a future conversation, presentation or event that you’re unsure of? Our thoughts can also toggle between the dramas that other people are experiencing, perhaps office politics or relationship issues or our inner thoughts of self-doubt and our all too familiar friend, our inner critic. Our thoughts can be a mind-field of chaos if we let our thoughts rule our lives. We can get lost in a flurry of thoughts that are anywhere but in the here and now. And I wonder if Jane had calmed her chaotic snow-flakes of thought and tuned in more fully to her innate wisdom, whether she might have noticed some of the glaring signs that this man was not who he professed to be nor was he truly capable of giving her the loving, stable relationship she so desires. Listening for Information– When most people listen they’re looking to verify and build upon what they already know. When listening for information we think about what we’re hearing and where it fits in with what we already know, whether we accept the information and how we might apply this in our own lives. More succinctly, we are busy processing this new information in a chaotic mind, so our mind isn’t free to do what it does best. Listening for Insight– On the other hand, when you’re listening for insight, you’re creating space for an ‘intuitive knowing’ that already exists (like the liquid in the snow-globe) to emerge and take a lead role in your awareness. Listening for insight is listening with a calm state of mind, and allowing yourself to be impacted by what you’re hearing. It’s like listening to music you love where you soak it in and allow the music to envelop and impact your senses. When you’re listening for insight, you get a feel not only for what the person is saying but hearing beyond the spoken word to what the speaker’s really trying to convey. Our divine mind is capable of picking up on so much more than the logical mind. So how can you quiet your chaotic thoughts and access your innate wisdom? Well, I’m glad you asked. Find a quiet, uninterrupted space free from potential distractions. My favourite quiet places are in a salt floatation pod (this is amazing! ), out in nature, take a bath or find a quiet space at home. Focus on your breath. Allow yourself to quiet your thoughts, notice them as they emerge and let them wash away. My favourite yoga class is yin (but there are many other great classes to try) and nothing helps me settle in to the present moment like a great yogi instructor creating the perfect space to get calm. Nature provides us with the perfect vibrational frequency for calm and healing. Find a lovely park or bushland near you and just sit or take a gentle walk amongst the serenity of nature. What are some of the ways that might work for you to calm your thoughts? Perhaps, it’s a hobby, exercise or talking to a friend. Give yourself permission to take time to find your quiet and connect with your innate wisdom. Shoot me an email if you have any questions regarding these mindfulness techniques. Wishing you every success as you calm your thoughts and become more present in the now. Hi, I’m Cindy Turner, Master Coach and founder of coachcentral.com.I help heart-centred leaders and entrepreneurs live the truth of who they are by showing them their unique strengths and gifts and how to live a life in alignment with them.